The pack that is included in this review has been updated with the Osprey Poco AG line. 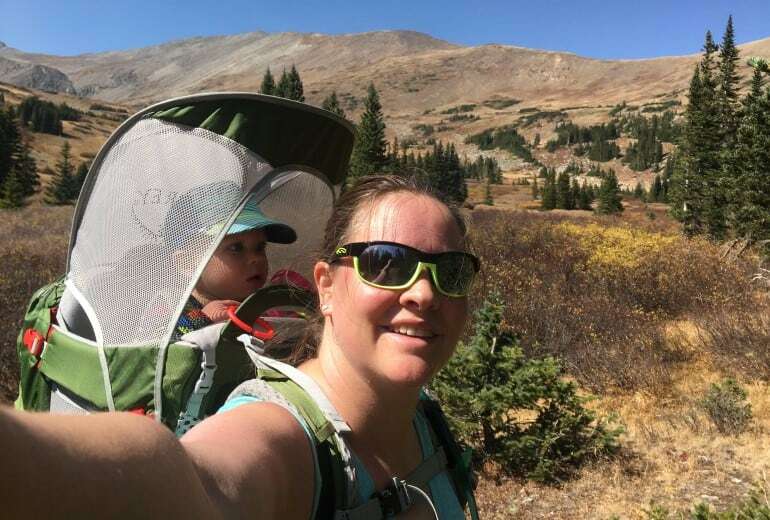 Our team member, Ginny, loves it and shares all her thoughts (the good, the bad and the ugly) in her 2019 review here: Osprey Poco Plus AG Review. 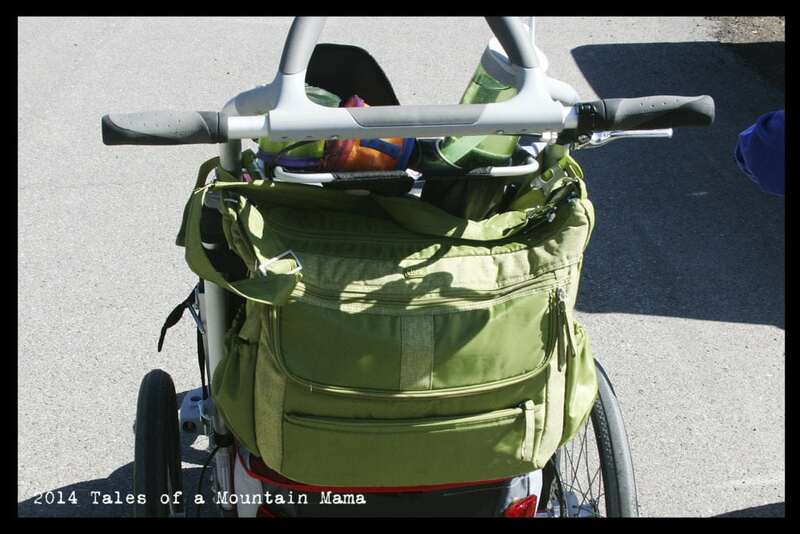 As a family, we have had the opportunity to check out a number of different kid carriers. We have had kids only a few months old up to kids over 3 years old in them. Wearers have ranged in size and shape and conditions on the trail have varied from rocky terrain to easy paths to back country ski slopes. While testing continues on our end, we have definitely put a few of them through the rwinger. Previously, we reviewed both the Deuter Kid Carrier III and the 2012 Kelty Pathfinder 3.0 and then compared them side to side on our blog. Both are excellent packs and come highly recommended by us. Please note that we recommend trying on any kid carrier before purchasing to test for comfort to your own body. It’s a pretty personal decision! However, thanks to Osprey’s new Poco line just released this spring, our family has a new favorite. The Osprey Poco comes in three different models – the Poco, the Poco Plus and the Poco Premium. Osprey seldom disappoints with their packs and this is no exception. Engineered to work for younger children AND older children and with a variety of different sized wearers, it’s an ideal all-around-pack. Features we thought were missing on the Deuter and Kelty all seem to come together fairly well with the Poco. The market for kid carriers is definitely becoming more competitive and companies are rising to the need of active families. We tested the Poco Plus so this review is based on that pack. However, I try have pointed out features on the Plus that are different on the other models so you can easily see the differences. – Wide range of size for the hip belt (26” – 48”) which is SO crucial because that is where most of the load is supported. Also, the padded part of the hipbelt itself extends in length for greater comfort for bigger hips. – Mesh back panel for the wearer leaves room for air and plenty of comfort. – Vertical hydration sleeve means better placement for the wearer and better functionality of the hydration bladder. – Rail-based adjustments on the wearers’ sternum strap mean easy movement. – The pockets on the waistband weren’t thought out perfectly and one of the straps covers the zipper making it more difficult to access. They did include an extra strap to try to keep that zipper more available, but we don’t think it works that great. 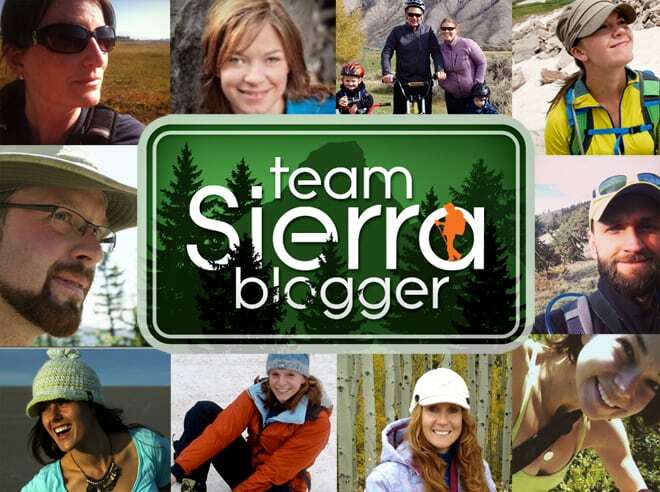 – Cell phone pocket on shoulder strap isn’t big enough to carry our smart phone (not that we think smart phones should be on the trail anyway, but they are certainly becoming the norm!) However, it would carry a smaller smart phone, our Razr + Otterbox is just BIG! – The Poco Plus does not come with a detachable daypack like the Poco Premium. However, both the Poco and the Poco Plus DO have four cord loops that allow for the attachment of an Osprey Daylite AddOns series daypack. It works fairly well, but isn’t perfect and the Daylite hangs low enough that it could take up valuable “packing room” if you wanted to attach a sleeping bag or tent to the carrier. If you don’t have a pack to attach already, I would just go with the Poco Premium. For all you visual learners As always, please excuse our amateur skills! We just hope this will show what just pictures can’t. 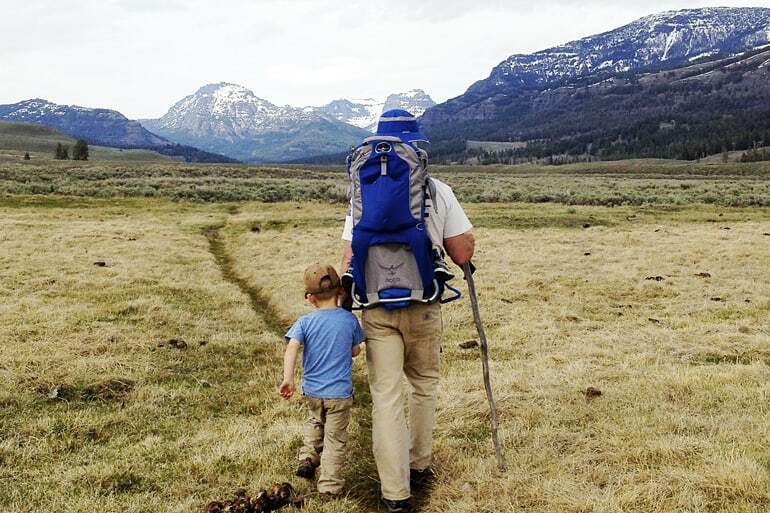 Bottom line: If you are going to be doing a lot of hiking, skiing, backpacking or adventuring of any kind with your kids, a kid carrier is absolutely worth the money. We suggest trying them on before purchasing if you can and buying the top carrier you can afford. If you don’t anticipate having to carry a lot of extra gear (no backpacking or winter adventures) then the simple Poco would be plenty. Otherwise, extra space always comes in handy! Osprey generously supplied us with the Poco Plus for review. However, as always the opinions expressed here are completely and honestly our own. Additionally, some of these links are affiliates to help us offset the cost of running this blog! ©2012, 2019, Tales of a Mountain Mama. All rights reserved. Republication, in part or entirety, requires a link back to this original post and permission from the author. 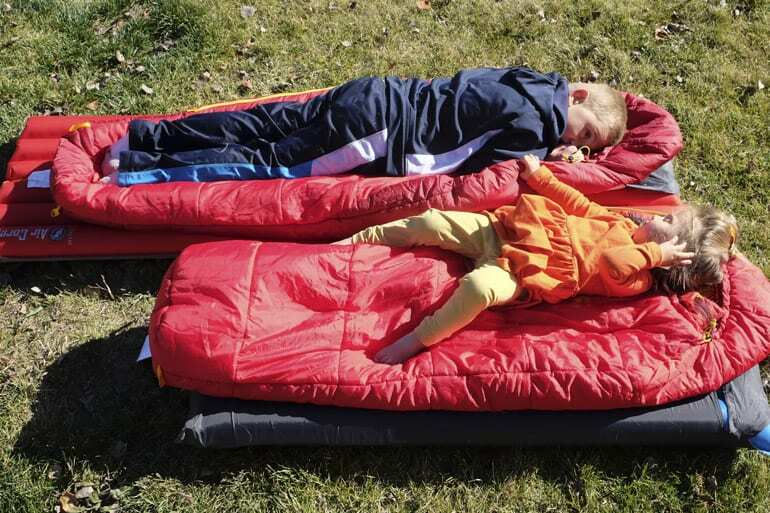 Kids’ Sleeping Bags – Are they worth it? Love this! Thank you. We did end up picking it up for fathers day and are getting read now to head out on a hike. Went with the poco plus because the “non wearer” will carry a backpack to even the load. Thanks again. All the best! Thank you a lot for this review! What I didn’t quite get though is the bottom storage that goes away if you flip the kickstand in. Does that mean that when you have stuff in that storage compartment, you’ll simply leave the kickstand flipped out? Is there any disadvantage to that when hiking? Or is the bottom storage basically useless because it’s uncomfortable with the kickstand being flipped out? Great question! Sorry I wasn’t more clear about that. When we stuff our soft gear in there (jackets, etc.) it just compresses everything when we close the kickstand. If you had it full of harder stuff (food, etc.) you wouldn’t be able to do that and the kickstand would just stay need to stay out. Quite honestly, it isn’t really in the way when hiking (and big open spaces), so no big deal there. It may get annoying in a crowded/indoor space, though. Bottom line: not a HUGE deal, but definitely something to know before you buy! Please feel free to ask if you have any more questions! Thank you for that clarification! 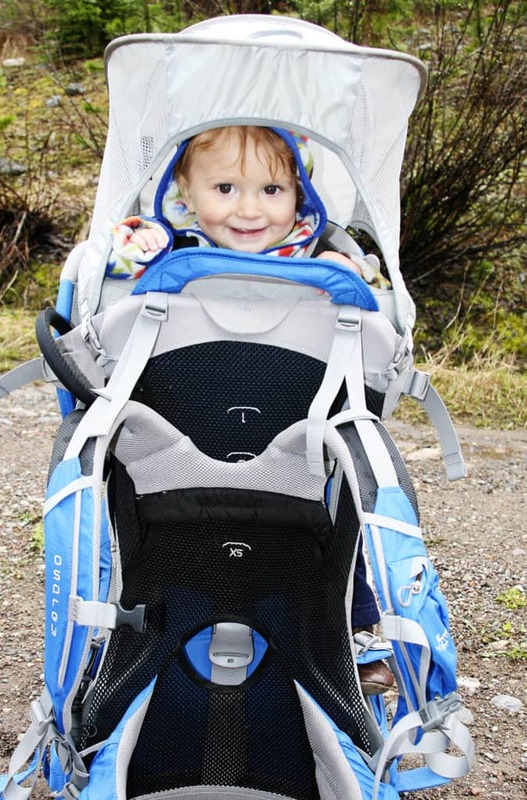 I’ll order one this weekend and am looking forward for some November hikes with my little boy! Just today, he managed to sit on his own for more than 2 minutes! He’ll be stable enough to be carried around in a few weeks. Awesome! Please do post pictures when he is big enough to ride in it! 🙂 I’d love to see! We finally got our poco premium, and after getting out into the mountains for the first time with it, my son and I are both very happy! So far, I have only two negative points: The sunshade is a bit difficult to get back in when the pack is loaded, and I think there are not enough straps or hooks to attach stuff (such as warm winter jackets) to the outside of the pack. Not a big deal as one can work around this with extra straps, but it would be an easy improvment for Osprey to add some more hooks. btw, I sent the pic I promised by email. And now, 4 years later, my second child soon will be too heavy for the Poco and I’ll have to pass the carrier to a friend with younger kids. How time flies. I’ll miss those trips. Thanks for the review! Do you find the sun shade that comes on this one to provide better sun protection that the Deuter Kid Comfort III? I’m completely torn as to which of those to buy. The sunshade on the Poco Plus seems better, and it has the foot straps, but the Hip system on the Deuter is really calling me since out 19 month old is already 34 pounds! Thoughts? Hi Pamela – sorry it took me a bit to get back to you (we just moved and our internet was JUST hooked up!) The sunshade on the Poco is more surrounding than the Deuter, but we have found that the Deuter’s is definitely adequate. Additionally, the Poco sunshade can be tough for kids that are taller or claustrophobic at all (it’s almost like being in a little fort.) The hip system on the Deuter is awesome for carrying heavier loads, but those foot straps are a BIG help for taller kids. Basically, if the only thing you don’t like about the Deuter is the sunshade, don’t worry about it – it still provides great protection (AND the rain fly you can buy to go with it adds even more protection!) Best bet? Try to get somewhere where you can try them both on…. If you have any further questions, let me know! Hope this helps just a bit. Thanks. Unfortunately, we live on Oahu and there are no stores that sell either of them! I’m considering buying the Deuter and seeing if I can sew on some foot straps. That’s really the only thing I feel like we would be missing from the Osprey. Thanks again! I still haven’t gotten the pack. I have put it off for a few weeks to allow my boy to get better at sitting. Now, when I finally decided to order, it’s more difficult that I thought (I am ordering from Germany): First shop didn’t have it on stock and despite promises, has not yet been able to order it. Second shop was simply weird, deleting my order, changing prices in between and suchlike. Hopefully, the third shop will work. I WILL post that picture, promised! I’ve been following your reviews on child carriers- they are really informative, thanks for posting them. I have a question about the Poco- is it possible to compress it at all? Your Deuter vs Kelty comparison shows that both packs can squeeze down whereas the Poco looks more like a fixed-thickness frame. This would be a concern for storage at home, or getting into a car. HI Jeff, it does compress, but not as well as the Deuter packs. However, it has never been something we have noticed (and we usually WOULD notice!) I will do my best to get a compressed photo up on the blog of all of them this week! We ended up getting the Poco as the Deuter II and IIIs are not available locally. We’re happy with the Poco and agree with many of the points you make in your reviews. The top-access buckles are great and make for a very fast in-and-out operation and integrated hood works very smoothly. Build quality seems up the usual Osprey standards. The pack really doesn’t compress much at all, and Osprey recommends to loosen the compression straps during storage. Not so handy when living in a small apartment! The most compressible bag I’ve come across so far is from Down Under- the Wilderness Equipment Wildchild. The Poco uses what appears to be a pretty standard Osprey harness, which is probably okay for most people. I’m used to better harnesses (McHales for the load carrier and Ergons for daypacks so I’m pretty spoilt 🙂 so I do find the Osprey less comfortable and definitely restrictive. I suspect, but cannot confirm, that I’d be happier with the Variflex hipbelt of the Deuter. Overall, I’m happy with the Osprey Poco- thanks for all your work on your reviews, they saved me a lot of time and indecision! Thanks so much for following up….your responses help me (and all our readers!) too! Please feel free to post pictures of your adventures on our Facebook wall – I would love to see the Poco in action! We looked at the ospray poco plus and the deuters II and III today and like the ospray very much. However we feel that the baby’s head is less supported than in the deuters. In case the child falls asleep, will there be enough headsupport, or will it just dangle along? Could you add a little pillow or push in a sweater to make it more comfy? People also seem to be happy with the drollpad, but is it large enough? The Deuters both have thicker pads in front and the III clearly goes high on headsupport behind the neck… How usefull are these items in reality? And do you miss them on the osprey? Ohhh, good questions! While the Poco head support is certainly adequate, it certainly IS better on both of the Deuters. AND the Deuter droolpad is awesome. That said, yes, you can certainly add padding with extra gear (we often do this to secure bobbing heads in every carrier.) The height of the Deuter III is good, but I personally now prefer the Deuter II. The support is good enough and I don’t miss the extra height. It just “rides” better for me. Totally understand the decision is tough. The BIGGEST thing I see between the two that really matters is those foot stirrups on the Poco. However, you could most likely rig up something pretty easily on the Deuter! Does that help at all? Feel free to keep asking questions if you have them! Thanks for your quick response! Your comments have been really helpful. We still have a slight preference for the Osprey Poco Plus and have decided to go for that one. Because we feel it has some advantages we personally prefer over the Deuter II. Like the fact that it allows more air between our backs and the backpack, the way the child is fixed in it will save us a lot of frustration 😉 Especially since our son (5,5months) at first didn’t seem to like any of the bags he was put in, untill we put the backpacks up on our shoulders and he could look out from high up in his tower. He could not stop smiling then. According to us he seemed the happiest in the Osprey. Yes the extra support on the Deuter would have been nice, especially when the LO falls asleep, but since you say you have to add extra padding anyway when they are asleep… we’ll just have to add a little more I guess. Other things we liked on the Osprey are the foothandles and the sunprotection. What we didn’t like in the Deuter is the fact that the child is actually seated on top of the bottom storage bag. So depending on what you put in it, he will have more or less comfort. Anyway, thanks for your advice. We feel it enabled us to make the final decision without hesitation. Carolien, Benoit and little Théodore. Seeing your video has convinced me that this is the best pack for our family. I’ve done a lot of research but haven’t been able to compare the top designs (deuter, kelty, and osprey) side by side due to my remote location. Thank you for your honest review. Great reviews and I really appreciate you doing them. I’ve been trying to decide between the Poco Plus and the Deuter Comfort III. I tried both on and they both fit fine. I love how the Poco allows the kid to be inserted and extracted (how’s that for kid terms) compared to the Deuter. I also love the mesh back on the poco. A thing I didn’t like on the Poco was the lack of pillow but I think a sweatshirt as some have mentioned would solve that. My biggest concern is the seat. I really liked the look of the Deuter’s seat because it seems as if it is more like a seat and less like a straddle (type setup) found in the Poco. Have you (or anyone) come across sore legs or crotch’s from sitting too long in the Poco? Also, is the premiums storage really worth the extra $40? I have dozens of bags (big, small, heavy, light ultralight, etc) I feel could be attached no problem. Thoughts? Thanks to anyone for a reply. 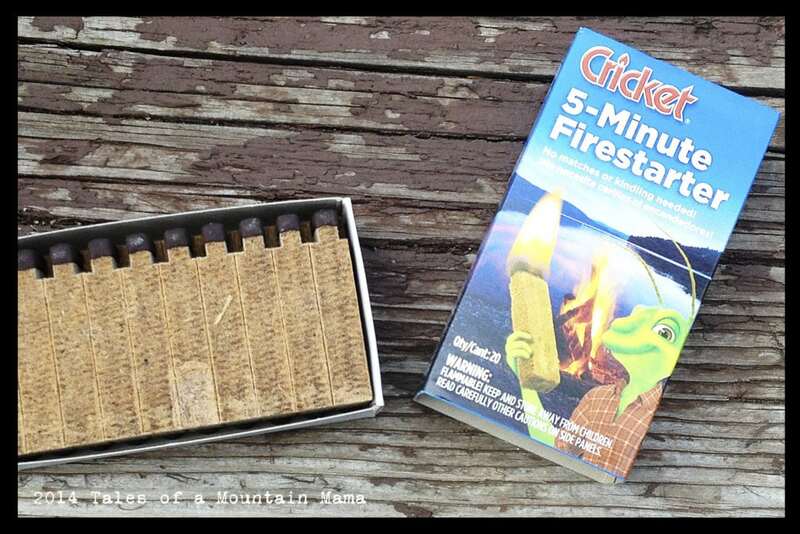 Both packs are excellent, though, and come highly recommended by us! We just bought a Poco Plus pack but we also just found a Deuter 3 at an REI sale for really cheap, so we bought it and now are deciding between the two. After reading your review and all the comments (which are all super helpful!) I’m still having a hard time deciding. It seems like the Deuter is more padded for the child, and that the seat area for the child would be a lot more comfortable that the skinny little harness “seat” in the Poco Plus. Does anyone think this is true, or do kids really not seem to care? Also, the Deuter 3 is way taller in length! Does anyone see this is a positive or negative? It seems a pain for storage and travel, but also a plus for older kids that would have a place to lean their head back? The Poco doesn’t seem like it would support a taller child’s head at all, but maybe I’m wrong on this? 1. The sleeping thing is pretty huge (at least for our kids) and the Deuter III far outperforms any other carrier in that respect. 2. The taller back can be a pain for storage, but it also does protect your child a little more and provides a bit more support. 3. Depending on what you do, the Deuter does have more storage…. – My kids (even the 4 year old) never complain about the Poco seat – and those stirrups are awesome for bigger kids. – Both are EXCELLENT packs. Try them on a wear them a bit too – make sure YOU are comfortable – different packs just FIT different people better. Good luck and feel free to ask if you have any more questions! Thank you for your reply; very helpful! I’m going to put the baby in tomorrow and walk around and see which feels better! Thank you for reviewing these products Amelia. 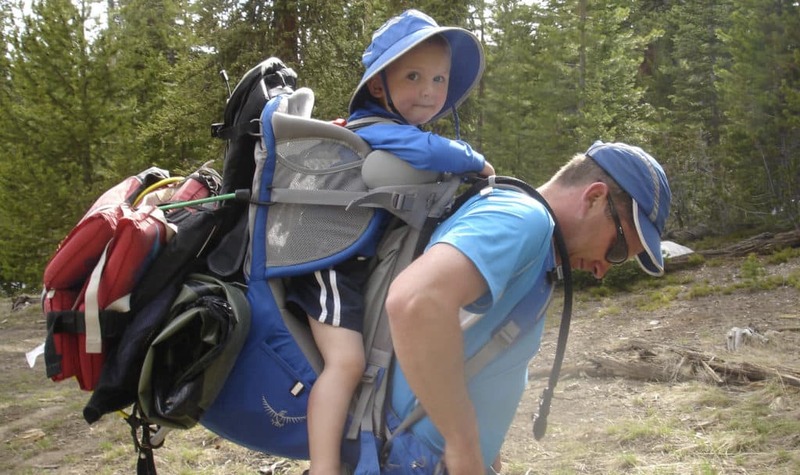 You covered much of what I wanted to know about the big three in this class of baby carriers: Kelty, Deuter, and the Opsrey. I personally took my 5 month old around to some stores a couple days ago to try them out. Olivia, btw, is about 17 lbs with good head control but not quite sitting up on her own yet. We’ve spent hours in the Bjorn walking around town but hoping to get out on the trail. I’m more of a day hiker/geocacher but not a camper. So we’re looking to hold what we need for a long day, and be comfortable doing it. I think I was leaning toward the Poco Plus before trying them on. On fit test day, I tried on each pack first without Olivia to get them fitting right. Then she slid right into the Poco very easily. After a couple minor adjustments, I was able to lift her on. Great. Plus, her head was taking in the view. Her eyes were just even or above my ears. I think this is a good thing. Still well within the canopy though when I pulled it out later. She doesn’t reach the stirrups yet but it is nice to know she can grow. Then came the Deuter Comfort II. She is just too small for it at this point. The shoulder straps were not snug over her shoulders. She sat fairly low, eyes below my ears, and blocked by that nice big front pillow. She seemed happy but I wouldn’t trust it to be used this season/year with those loose straps. Then came the Kelty Pathfinder 3.0. It was fairly confusing with all the straps and hard to get her into it. After a couple tries, Olivia was starting to get upset so I never put her on my back in the Kelty. I did notice thought that the shoulder straps were also loose on her. While I think I would eventually figure out all the straps, and know how to get her in without her body pushing straps down that need to go over her, I don’t think it is the pack for us this year. So it still looks like the Poco. Thanks to your reviews and other comments here, I’ll experiment with additional pillows if she wants to nap while she is up there. Two questions: Do you think the removable pack on the Premium will put too much weight behind and away from my body? I’m thinking close and high is good. The removable pack on the premium, when they show it full in the pictures, looks so far out there. Probably not really an issue to be concerned with as it is up to me how I pack it. What about the Phil&Ted’s Escape? Would you consider it to be in the same class as these other packs? They are hard to find in the stores around me. If I could try one out with Olivia, I could tell right away if she is too small for it like with the Deuter and Kelty. Otherwise, the Escape has some nice features, such as stirrups, bladder sleeve, storage, and what seems like a nice canopy. Hard to judge without seeing one and wish to avoid returning it if I order one blindly online. – No, I don’t think the weight from the Poco Premium really effects how it feels. The kids definitely balance that weight out pretty well (and only get bigger!) The Kelty 3.0 has the same idea and we have never had issues with it feeling unbalanced. But, yes packing it correctly is imperative! – I haven’t tried the Phil and Teds because it has been hard for me to find too…. Not sure if it is in the same “class” or not, though their products have a good reputation. Little Life also makes a great one, I hear, but is another one that can be hard to find. I would be comfortable with your Poco decision. It is a great pack and if you can finagle a better sleeping pillow (like stuffing in Aden and Anais blankets, etc.) you will be good. These packs are always changing and coming out with new features, so I say go with what is best NOW or you’ll over think it 🙂 I would do the Poco Premium, though. The extra space is always nice to have “just in case”. Please let me know if you have any other questions! 🙂 Thanks so much for reading! thanks for the info!!! We just bought the poco plus. Our daughter has 2 years, the only issue that we found is that the lenght of the carrier is shorter that other brands (for example we tried a little life at the store and its seems be longer than the poco). So, I would like to ask you and tothe other members of the forum, if you have experience with the littlelife, or in your opinion the poco is better? We didnt find the deuter, but also looks great!! Hi Douglas. Thanks for your comments! I actually have never been able to get my hands on a Little Life pack to review. I hear plenty of people say they are awesome, but haven’t worn one personally. One more thing – I haven’t noticed the Poco any shorter than the Deuter packs or Kelty….let me see if I can find out about Little Life! Thank you so much for your super reviews! We were trying to decide, first, between Deuter and Osprey; then, having gone with the latter, between Poco Plus and Poco Premium. You tipped the scales towards the Premium. Your research and explanations were so helpful, especially since we don’t live in a location that would allow us to see/try on the packs before buying. Thanks to your guidance I’m sure we won’t be disappointed with our choice! So glad to help, Emily! I hope you love it!! How comfortable is the Poco for the child? The specs all look great and it gets great reviews for it’s features, but the actual seat, strip between their legs, doesn’t look terrible comfortable. Any complaints from the kids about comfort? How long do they typically ride in the Poco? Thanks. What would you make you decide to the new 2014 Deuter over the Osprey model? I am trying to select one of those two but the problem is that I can not probe the Deuter physically in my city. The Osprey looks great, any of them would be my first baby carrier, but my main objective is the comfort of the baby. Could you explane why is so different the seat between Deuter and Osprey? The Deuter has more padding for the child (sleep pillow, etc.) than the Osprey. And, personally, the more I wear them, the Deuter packs fit me better. But that is a personal preference. Now that the 2014 model has the foot stirrups, it’s a great choice! (and more gear capacity too.) Let me know if you have any other questions! I purchased the poco premium and have been on four 3.5 mile hikes with my 15 month old son. I love this pack but have been struggling with one major flaw. The trail I take is not that intense but dose have some up and down, I find the frame digging on my upper buttocks. It gets really annoying and makes me tired quickly. I tried adjusting the pack in several ways but no improvement. I noticed that the frame sits below the lower end of waist band, i.e. it is not flush with the waist band like Deuter KC III. That means no matter how you adjust the pack, the bottom end of the frame is going to rest lower than your waist belt and will possibly become bothersome. I am afraid to take it on longer hikes, my hikes are usually 10 miles. Hope Osprey does something about this. Don’t know whether you have felt this or not. Thinking of returning and getting a KCIII just for comfort reasons, all the bells and whistles are nice but if I am not comfortable carrying my son, it will not be a fun hike :). Oh bummer! I haven’t had any issues with it, but also know that every pack fits every body just a little differently. If you are uncomfortable and CAN, I would always recommend returning a pack that is uncomfortable for you to find one that is. The new KCIII this year has stirrups and some extra bells and whistles (and is a great pack!). I’ll pass this on to Osprey. Thanks so much for letting me know! We have the poco plus with add-on pack and love it although agree that the add-on pack hangs funny and could attach better. We also bought the rain cover and because we live in Alaska, use it more often than not with it. The rain cover is great for keeping rain out (one would hope!) but also for keeping the wind-chill at bay keeping our son significantly warmer. The only thing I would say is nothing pulls the rain cover tight on the lower half to hold it off your kid’s legs so if it’s really raining, they still need to have rain pants on or their pants will get soaked, much like your sleeping bag if it is up against your tent wall. We had our 3 month old baby grandson sitting up in the poco, HE loves it..all strapped up in his harness firm..someone said they have to be sitting up??? what age is this suitable from…i thought he lookes secure and safe. We had our babies in there at about 4 months. It totally depends on head control and their core strength, especially when sleeping. They recommend 6 months….but I think it’s just a super safe age to recommend. Parents/grandparents know best! great review and video. Thank you so much. Stationed in S. Korea and traveling as much as we can. Met a couple in Southwest England that swore by this pack as well. Much appreciated. Ordered and anxiously awaiting. Cheers. Just wanted to know if the footrest heigh is adjustable? I think this is one of the most important feature especially during a ling walk. Have you come across any other carrier with best foot rest? Yes it is!! And this one is great! So between the osprey and the deuter III? I don’t need tons of storage. I just do a lot of day hiking during the summer and want something that is most comfortable for my one year old and myself. HI Julie. To be honest – it really is personal preference. That said, the new Osprey AG series has a much narrower waiststrap that I really don’t like because it digs into my hips. 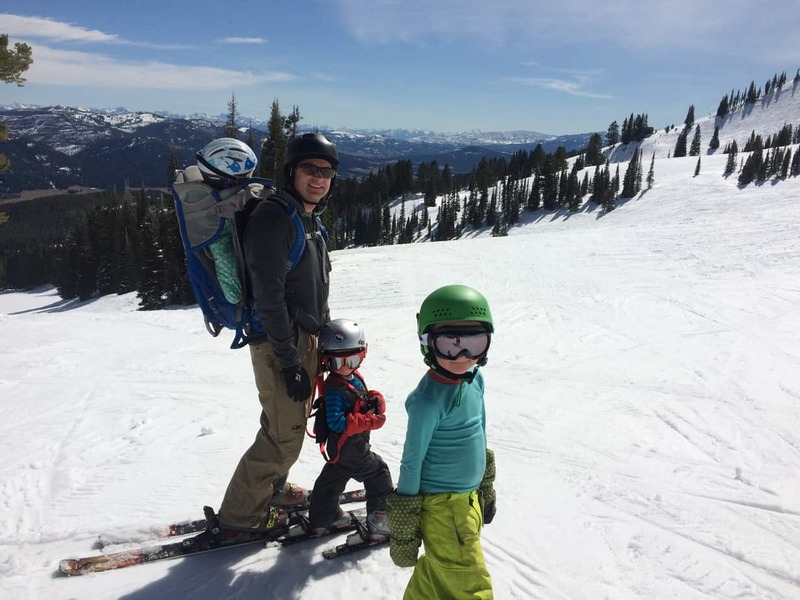 My husband loves the Osprey Poco and uses it often, but I always reach for the Kid Carrier first. I would probably recommend the Kid Carrier II over the III if you don’t need a ton of storage or your kids aren’t super tall. It’s just a bit less imposing and a little lighter. Just my two cents! Hi, your review is really helpful thank you so much. We have recently bought one for our 5 month old and she looks great in it and adores being able to see out over the world. So far we have only done short trips where she has been awake as I’m not sure how it would work when asleep. Don’t suppose you have any tips or photos of baby sleeping in the carrier? Honestly, the Osprey is not my favorite for kids sleeping in….but you can easily just stuff a piece of clothing or something in to make it better. THe kids never complain though! Here’s the one photo I could find for now! I like this carrier a lot and this review helped me to make this decision. I learned that a good frame pack is useful for fun hikes with kids like the beehive in Acadia National Park and that it is also a great pack for mundane tasks like carrying a child while mowing the lawn. How do we deal with the poor hip padding on the hip belt? It is digging into my hips like crazy and creating a lot of discomfort and bruising. (Osprey Poco AG Premium). I really don’t know 🙁 It’s my main gripe for the new AG series (the original Poco did not do that). I’ve heard of people just basically adding their own padding with towels, etc. So sorry! Such a bummer!